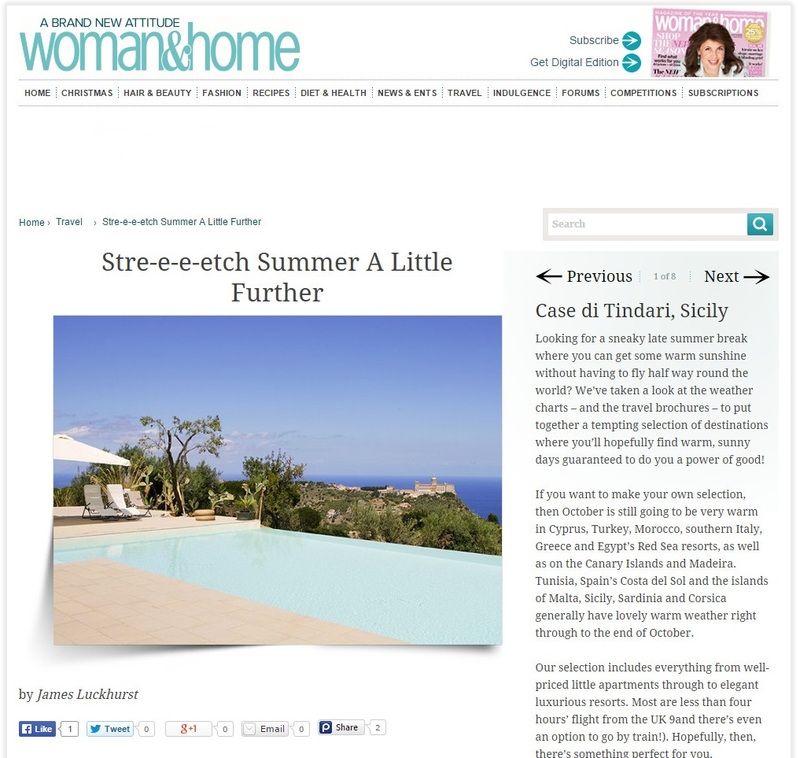 If you thought summer was over, think again! 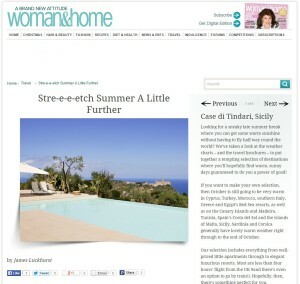 Woman & Home magazine’s list of suggestions for a sneaky late break is topped by the Le Case di Tindari estate, our collection of beautifully-furnished cottages set amongst olive and oak trees in the north east of the island. The archaeological site of Tindari is within sight of the infinity pool and, perfect for an October break, gastronomic treats and autumnal hikes are on tap in the nearby Nebrodi mountains.